A calendar of Gary Glynn’s book publication dates, book-signings, and other public appearances. March 1 – Book signing of That Beautiful Little Post: The Story of Fort Missoula and other books at Barnes & Noble in Missoula, 2-4. Please drop by and say hello. 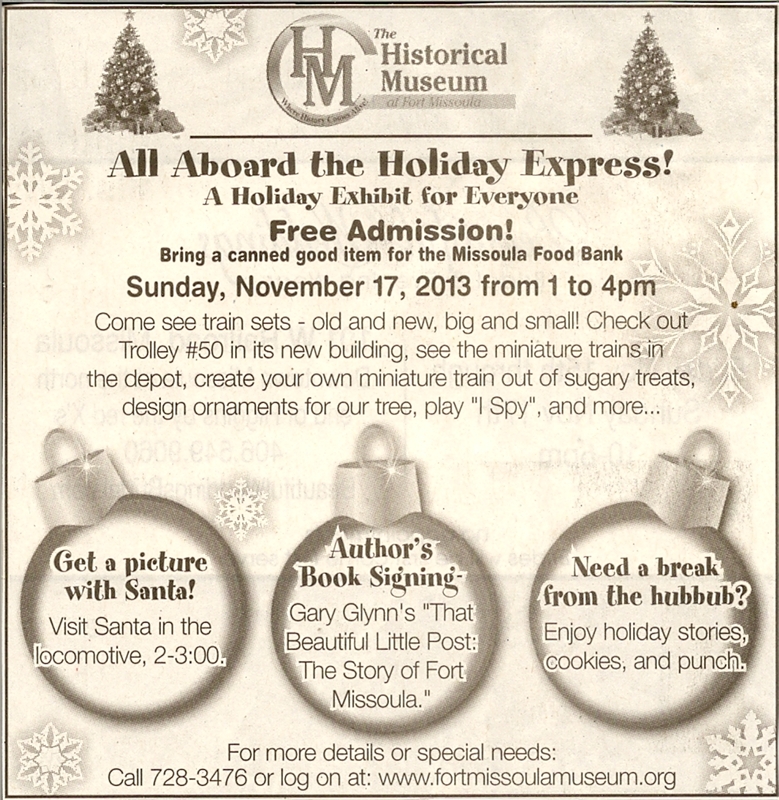 December 14 – Book signing at Fact and Fiction in downtown Missoula, 10am-12pm. Support your local bookstore. 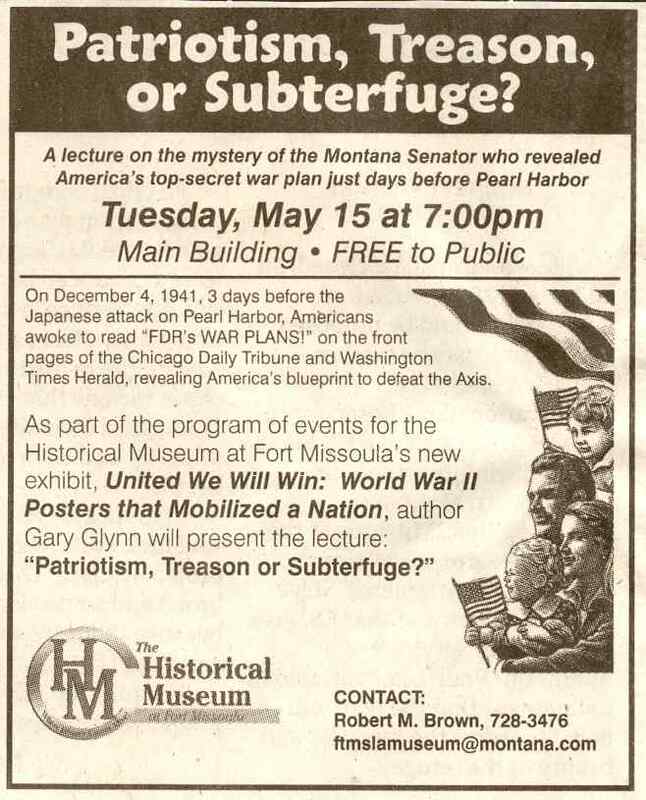 November 17 – Book signing at the Historical Museum at Fort Missoula, 12-4 p.m.
December 16 – Book signing of Montana’s Home Front During World War II at Missoula Barnes & Noble, 1-3 p.m.
September 29, 2012 – Gary Glynn presents “Patriotism, Treason, or Subterfuge for the 2012 Teacher’s Workshop at the Historical Museum at Fort Missoula. 9:00 a.m.
“Fascinating story and the teachers got a lot out of it!” Doreen Might Dyer, Education Curator, Historical Museum at Fort Missoula. April 13, 2011 – Gary Glynn was awarded the James Moss award for “outstanding service” at the Friends of the Historical Museum at Fort Missoula annual dinner. Dec. 5, 2009 – Booksigning at Montana Book Company Helena 12 to 2 pm.